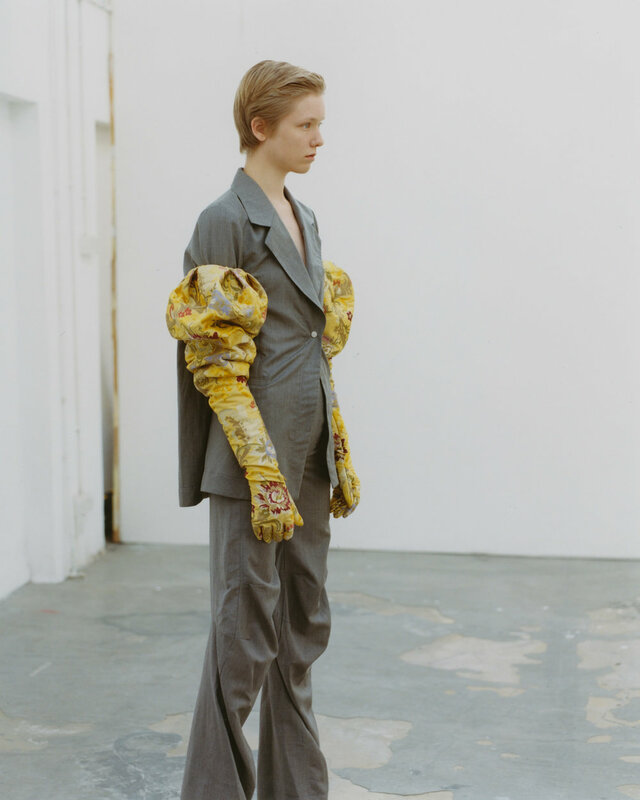 Exploring notions of transition and nostalgia, ioannes' Spring Summer 2019 collection is an ode to the art of storytelling, sensitively bringing together seemingly disparate elements to form a meandering narrative. Touching on a plethora of references, designer Johannes Boehl Cronau’s family history rooted in German carpentry provides the foundation for silhouettes as well as functional detailing throughout the collection. 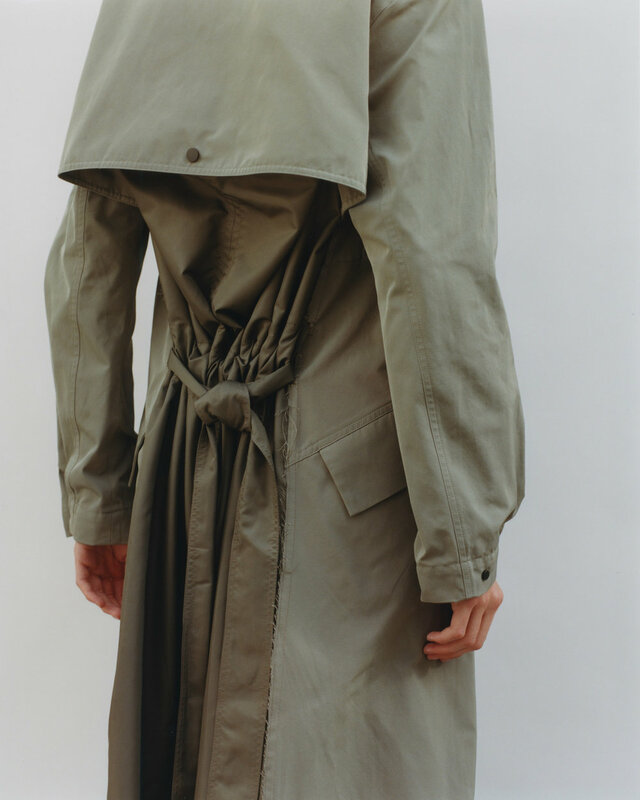 Traditional workwear shapes morph into grey suiting; semi-transparent layers create a sensuous contrast between the female body and tailoring; a reinterpreted carpenter’s utility belt becomes a bag, functioning as a pannier under the synched jackets. ioannes showed the Spring Summer 2019, collection ‘Walz’ in collaboration with Lafayette Anticipations.